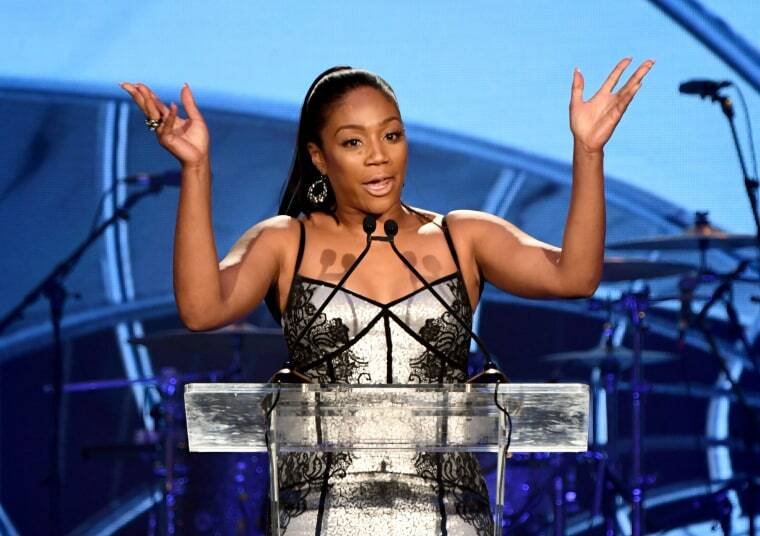 Tiffany Haddish gave fans in Miami a night to remember on December 31. The fact it was not for good reason is something Haddish has come forward and copped to. The actress and stand-up was performing at James L. Knight Center on New Year's but things did not run smoothly. Fan-shot footage from the set shows Haddish forgetting her jokes and seeing others fall flat. Earlier in the day Haddish posted a video on Instagram in which she talked about partying until 7am the day before her show. Haddish knew things were going wrong in the moment, saying “this is gonna be on TMZ or whatever like ‘Tiffany Haddish Ate a Bag of Dicks on New Year’s Eve!’” She wasn't wrong. The Girls Trip and Night School star has admitted to being at fault, tweeting "Yes this happened. I wish it was better Miami." Haddish's next tour date is on January 25 in Las Vegas. Expect the super-honest star to tell the full story behind her flop then.